Right before the new festival season Sound Nomaden is turning an infamous Russian traditional melody into a powerful Club track. For his new Single „Cossack Dance“ he worked together with his partner in crime MSP to create a fusion of Brass and offbeat driven Tech House. 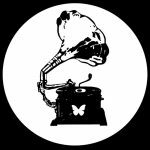 © 2019 Sound Nomaden/Slow Nomaden – Electroswing, Deep House, Melodic House, Electronica, Downtempo. All Rights Reserved.